It seems that the field of neuroscience is exploding with research about how we learn, what our brains need to stay sharp, and how we can avoid memory problems as we age. Everyone wants to have healthy brains. For many years, crossword puzzles and sudoku were the favorite pastimes of older adults. Music lessons, together with a healthy lifestyle, might be even better. Frequent small victories. Find ways to feel you have accomplished something – no matter how small – several times a day. I like to keep a to-do list but always include simple items that I can easily check off. Instead of writing “do laundry,” I will have smaller tasks on my list, like “gather laundry from kids’ rooms,” “start load of darks,” “hang laundry on line,” “take laundry off line,” “sort clothes,” “fold and put away.” Studying a musical instrument gives you the opportunity to make small gains everyday. Physical activity. The brain is healthier when our whole bodies are healthy. Take a walk, do a yoga video, ride a bike to the store. The exercise does not have to be intense or lengthy. Just 20 minutes is enough to keep the brain happy. Learn something new. The brain needs constant use to maintain its edge. This is why learning an instrument is extremely helpful for adults. Music study uses the whole brain. See blog posts “Brain Imaging on Musicians” and “Practice Builds Better Brains” for more info. Consider your posture. An upright posture allows for more oxygen and has a subconscious positive effect on our bodies. Hunching, rounding the shoulders, and slouching in a chair inhibit learning and make us feel inferior. Amy Cuddy’s Ted Talk on this subject is fascinating. Most, if not all, music teachers will encourage good posture when playing a musical instrument. Get plenty of sleep. Our brains need time to recharge. Researchers have two hypotheses about why sleep is necessary. Some have suggested that rest is necessary for the brain to organize the day’s experiences. Others argue that the brain needs resting time to flush out toxins. The book “How We Learn” also asserts the value of good sleep habits. You’re never too old to begin music study. My most mature student was in her 60s when she decided to take up flute. If you are already a musician, be sure to change up your practice routine and learn something new every day. Healthy brains equal a long, productive life! 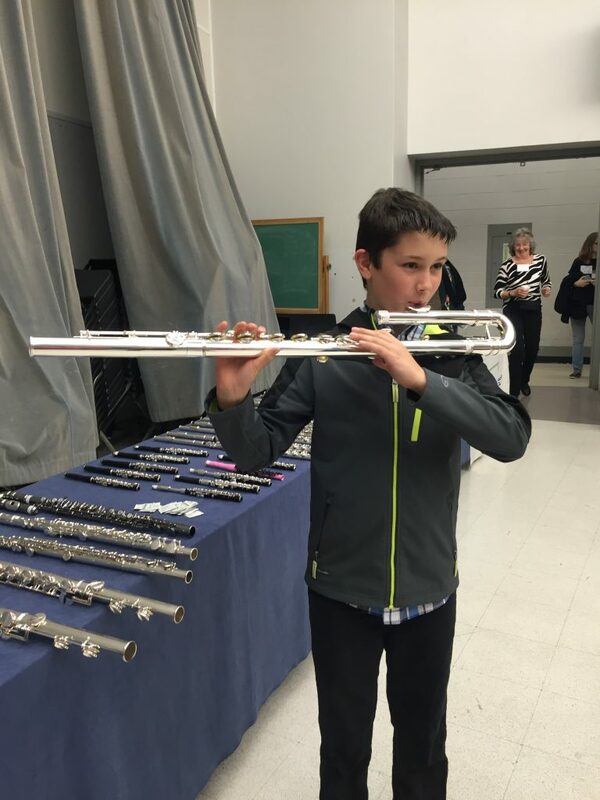 stimulation and variety – he usually plays piano but decided to try the bass flute.